I have a certain penchant. I like my men artificially scented. He should smell like a dude. He should smell so good I lean in closer, close my eyes and let my mind wander. Smell so good you give me goosebumps. Mmmm Dolce & Gabana… Oh yes. Versace? Armani? Yes, Yes, YES! If he smells like a crisp new dress shirt folded and waiting patiently at Nordstrom for just the right beautiful man? I’m sold…. along with that shirt because the only thing better than a man that smells good? Is one wearing a tie while he’s doing it. I’ve done my time in hippieville. I’ve smelled enough patchouli. 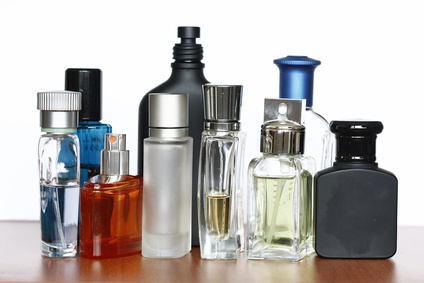 I’ve prayed for the man in my life to wear deodorant, nevermind all the dozens of bottles of cologne I bought him. They’re still in the cupboard in my bathroom. I’m not a fan of cheap knock-off cologne. Ever. Spend a little to slay me with the way you smell, it’s a good investment. Because when you smell good? I’m inspired. Inspiration is priceless, right boys? If it’s so easy as spraying cologne on before you pick up the hive to shake it… doesn’t it make sense to arm yourself the best you can? Be smart. Choose where you’d like to get stung. Which makes me a very happy girl, indeed. Intoxicate me with how good you smell. Change my mind. Then enjoy the show… because you just won the girlfriend lottery. I had a customer last night lean across the counter to tell me his order because it was so loud… and the most amazing cologne hit me right between the eyes. I grinned at him and he laughed. Wow… I’m not even kidding. It was like a cloud of hot man descended around me and suddenly he was ten times cuter. An olfactory blessing on my hardest night at work…. and I’m only too happy to order a burger for him. and I’ll do my best to prove it’s worth your while. I love you to the moon, Thomas. Next Next post: He who shops?